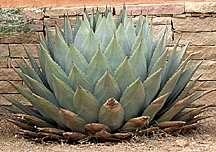 Cacti and succulents: Whether planted in the ground or in containers, all cacti and succulents require fast-draining soil. Outdoors, plant hardy varieties on a slope or raised area of the garden with full sun. Northern gardeners should plant next to a south- or west-facing wall to provide extra warmth and protection from drying winds. In heavy clay soils, it's essential to plant in a raised garden bed made of the appropriate mix of coarse sand, soil, and organic matter. Chrysanthemums: Good drainage is essential for garden "mums" to thrive. Mums are shallow-rooted plants that develop heavy top growth. Be sure roots are well covered and that the stem is securely anchored at planting time. Pinch your mums, removing a half an inch of stem tips when the plants are 4-6 inches tall, to create a compact form and encourage flowering. Pinch again when lateral branches have grown 6 inches. Do not pinch additional tips after July 1. In cold-winter areas that lack reliable snow cover, mulch with straw or leaves in late fall to prevent winterkill. Clematis: Dig a 12-inch deep hole and plant the clematis vine so the crown is 1-2 inches below the soil surface to encourage multiple stems. 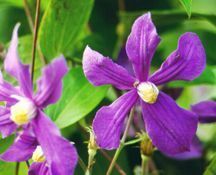 Clematis roots like to be kept cool, so mulch around the plant, 1-2 inches away from the stem, or plant a low-growing groundcover around the base. Provide a support, such as a trellis or a wire fence, so the plants can begin their ascent immediately. 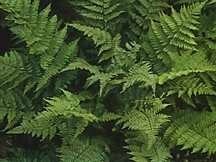 Ferns: Plant ferns so the crown (the area where the roots and stem join) is level with the surface of the soil. Mulch heavily in the fall to prevent winterkill. Remove mulch in the spring. 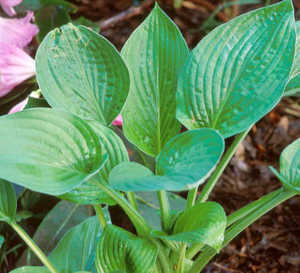 Hostas: Regardless of their sun or shade requirements, most hostas need ample moisture. You can improve your soil's water retention by combining one part organic matter with two parts soil. Dig a hole that will accommodate the mature size of the plant. Plant your hosta so the crown is level with the surface of the soil. 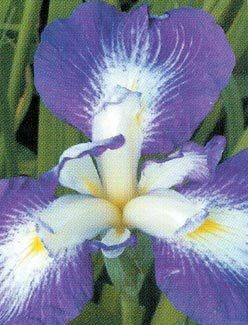 Japanese or Siberian iris: These irises have clumps of fleshy roots and tolerate more moisture than do bearded iris. They multiply rapidly, so plant them 4 or more feet apart and divide every 3-4 years to prevent crowding. 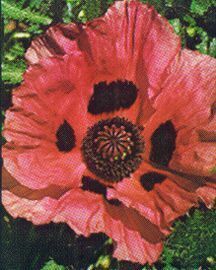 Oriental poppies: Oriental poppies go dormant during hot weather, resuming growth when temperatures begin to cool. Fill the bare spots this creates with annual summer flowers. Violas: Violas perform best in cool weather and are hardy in all but the coldest winters. In warm regions, they generally are enjoyed in the fall through early spring. Plant violas 6-12 inches apart in moist soil with good drainage. In warm climates, they do best in partial shade; in cooler climates, they prefer full sun.